The best time to visit Shirdi is during the winter season, between the months of October and March. The weather is pleasant during this time which makes it an ideal time for sightseeing. Which are the top 5 must visit places in Shirdi? People who visit Shirdi should not return without going to the Sai Baba temple, Dwarkamai, Baba Chavadi, Shirdi Water Park and Shri Khandoba Mandir. 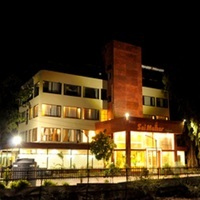 How can I get attractive discounts on hotels in Shirdi? Getting attractive discounts on hotels in Shirdi is possible when you book through Cleartrip. Cleartrip provides a lot of attractive deals on hotels ranging from budget to 5-star hotels. Can unmarried couples stay in hotels in Shirdi? Yes, there are several hotels which allow unmarried couples to stay at Shirdi hotels however do not forget to carry suitable identification proof, such as Passport/ Aadhar Card, etc., to be presented at the time of check in. How can I to find hotels near Sai baba temple? Just type the search query “hotels near Sai baba mandir, Shirdi” and you will get a list of hotels from Cleartrip . From there choose the best hotel by reviewing the amenities and facilities. 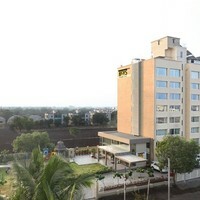 How do I book hotels in Shirdi near Dwarkamai Masjid? 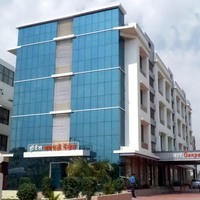 You will get a range of options when you look for hotels near Dwarkamai in Cleartrip. You just need to enter Dwarkamai Masjid, Shirdi in the Where field option on the Hotels Page . The lists of hotels near Dwarkamai will be displayed in the search results and you can book the hotel as per your requirement. Do Shirdi hotels offer Wi-Fi facility? Yes, there are plenty of hotels in Shirdi which offer Wi-Fi facility. 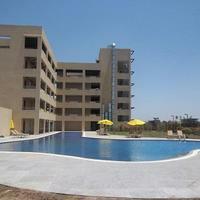 Some of the options are Hotel Sai Snehal and Hotel Marigold Regency. Visit Cleartrip website for more hotels with Wi-Fi . What can I buy from Shirdi? You can buy decorative items for temples and handicrafts from Shirdi. Figurines, books, trinkets, clothes and sweets are few other things that you can buy from Shirdi. Can you tell me the best places to shop in Shirdi? Temple Road and Sai Complex Mall are the best places to enjoy local and street shopping in Shirdi. Can you list the top 5 temples in Shirdi? As we all know Sai Baba Mandir is the main temple that is worshipped at Shirdi other than there are few other temples that will grab your attention. Ganesh temple, Khandoba Mandir, Mhalsapthi’s house and shrine of Sai baba mandir are few temples that you must visit. What are the famous sightseeing spots in Shirdi? Dwarkamai Masjid, Baba’s chavadi, Maruti mandir, Adul Baba cottage, Sai heritage village and House of Laxmibai Shinde are few sightseeing places that you need to visit. What are some must do things in Shirdi? The best thing to do in Shirdi is to visit the Sai Baba temple. You can visit other famous attractions like Ramkund, Chavadi and Shani Shingnapurand also go for shopping in the markets. Suggest a few hotels in Shirdi that have pools? 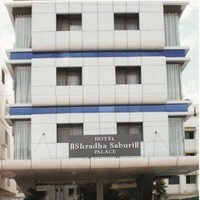 Hotel Sai Leela, Shraddha Inn, Sai Dharam place and JC castle are few hotels with pool in Shirdi. What can I enjoy in Shirdi? Shirdi being a pilgrim place is famous for a lot of temples, so probably your spiritual tour must include all the temples and then the museums. It also has a lot of shopping markets where you can buy spiritual books and decorative items. How to book a room for international guests near Sai baba temple in Shirdi? Visit Cleartrip website and go to hotels near Sai Baba Temple from the Locality dropdown. You can view a list of all the hotels near Sai Baba Temple and choose the one best suited for international guests. Which are some good guest houses in Nagar Manmad road? Sri Balaji Residency is one of the guest houses in Nagar Manmad road. From where can I book a good resort with spa in Shirdi? 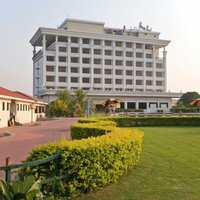 For resorts with Spa in Shridi, you can book St Laurn-The Spiritual Resort online through Cleartrip. 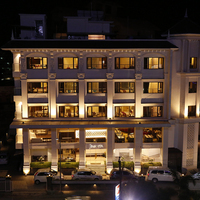 Can you name some 5-star hotels in Shirdi? 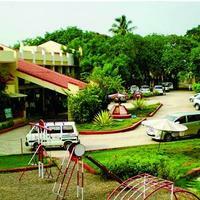 St Laurn-The Spiritual Resort and Sun N Sand Hotel are few 5-star hotels in Shirdi. Can you list some hotels in north Shirdi? 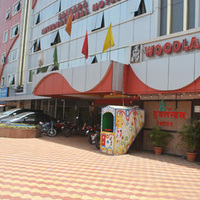 In north Shirdi, there are many hotels like Hotel Sai Snehal, Hotel Sai Miracle, Hotel Laxmi Palace, etc. 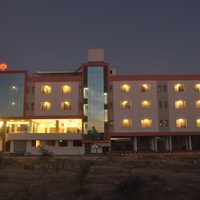 To book hotels in North Shirdi , log on to Cleartrip website to avail the best deal. Can you name some Heritage hotels in Shirdi? 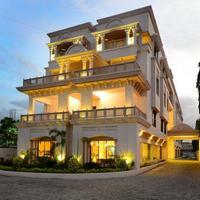 Sujal Heritage is one of the heritage hotels in Shirdi. To book heritage hotels in Shirdi, log on Cleartrip and book the perfect accommodation as per your preference. 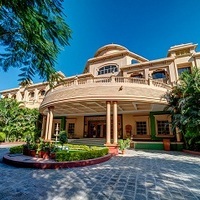 What are the top 4-star hotels to stay at Shirdi? 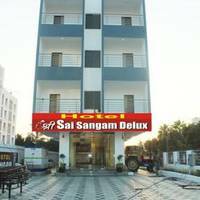 Hotel Marigold Regency, Keys Prima Temple Tree, and Hotel Sai Jashan are few 4-star hotels , which are very famous at Shirdi. 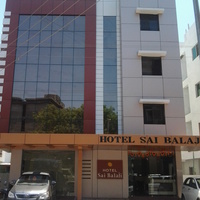 Look for hotels near Sai baba temple because that is a must visit place, so it will be accessible from the hotel. How far is Ganesh temple from Sai baba temple? There are a lot of small temples near Sai baba temple and one among them is the Ganesha temple. It is just 6 km away from the Sri Baba Temple. Where can I enjoy best vegetarian food in Shirdi? Rajdhani restaurant, Nandi, Shravani, Aroma Restaurant, Desi Tadka, The Tulip, Rajdhani Thali are some of the vegetarian restaurants in Shirdi. What are top places of interest in Shirdi? Sai baba temple is the main place of interest for travellers who come to Shirdi. Wet and joy park is an amusement park. 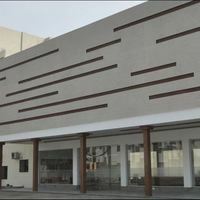 Dixit wada museum is a must-see museum in Shirdi, and there are also few other museums and temples that you can go in Shirdi. Can you tell me which are the popular temples in Shirdi? Apart from Sri Sai Baba Temple, other famous temples are Shri Saibaba Sansthan Temple Complex, Shani Shinganapur Temple, Shri Ganesh Temple, Khandoba Temple, Maruti Temple, Mahalaxmi Temple and Jain Temple. Are there any places for fun and entertainment in Shirdi? For fun and entertainment in Shirdi, one can visit the water park, coffee house, multi-cuisine restaurants and pizza joints. Are there any resorts in Shirdi? 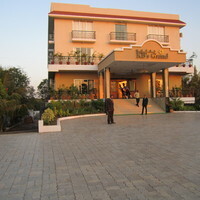 Hotel Shanti Kamal and Sanskruti Resort are two resorts in Shirdi. All Shirdi resorts can be booked online via Cleartrip. Is 24-hour checkin facility available at Shirdi hotels? Yes, but there are only few hotels that offer 24-hour checkin facility. Hotel City Heart is one such hotel. For more options and bookings, log on to Cleartrip website. Are there any hotels in Shirdi offering room service? Yes, there are many hotels in Shirdi which offer room service. 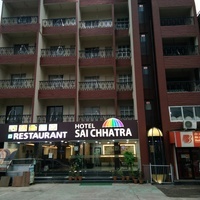 Hotel Sai Snehal is one such option. For more hotels with room service , log on to Cleartrip website or app. Where can I go for weekend getaways from Shirdi? Mumbai, Nashik, Pune, Goa, Nagpur, Daman, Igatpuri are some of the weekend gateways from Shirdi.